According to LinuxDevices.com at least two large online retailers are selling Nokia’s 770 Internet Tablet for $140 (originally it was priced at $400!). It’s really amazing price because some universal remote such Philips Pronto or Nevo are much expensive (as you may know Nokia770 can be used as control panel for home automation system Plutohome and for music streamer SlimServer). That news is good for all folks who decided to use Nokia770 to control their homes using Plutohome. Together with Plutohome developer Christian Miron we modified SDL Orbiter to have possibility run it on Nokia770. Also, I created a simple Maemo application to handle the Orbiter easier from Nokia770 UI. The latest (and mostly stable) version of Plutohome Orbiter for Nokia770 can be found here (os2006 and os2007 Hacker Edition). Also, you may try the Orbiter on your N800 as well. Practical MythTV, written by Stewart Smith and Michael Still is the second book (the first one was MythTV Hacks) about MythTV – one of the best open source Linux-based software for HTPC. According to short review from MythPVR the new book will be useful for both new users of MythTV and its old funs. Basically, the book can be split on three parts. The first one describes the installation procedure. However, the authors paid more attention on build MythTV from the sources and just mentioned about pre-built packages or a CD distributions like KnoppMyth or MythDora. But those way of installation will be more interesting for the ordinary users. The second part of the book is dedicated a process of using MythTV. There are many screen shots, tips and hacks which may make your communication with your media center much easier and more productive. And the final part is for advanced users. It gives an overview of some of the more advanced features and plugins of MythTV such MythWeb, DVD’s (watching and burning), MythPhone and network control. So, if you’re just planning to use MythTV or already have HTPC with that software you may get more useful information just pay $20 :). 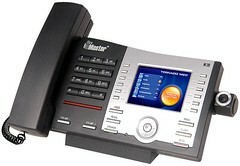 SysMaster used embedded Linux to create a four-line IP video phone with built-in PBX and audio/video playback capabilities. Tornado M20 appears to be based on a very similar hardware platform with M10 – STB with amazing features and functionality. The M20 connects to local networks via wired or WiFi interfaces. it supports standard SIP-based VoIP registrars, proxies, or outbound proxy servers. 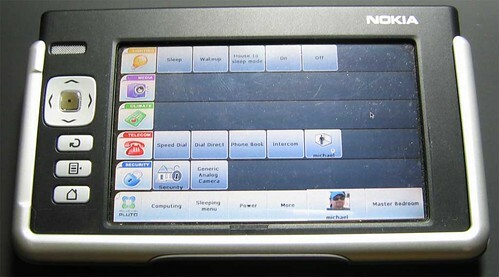 For comfort work with M20 it sports 3.5-inch color LCD display, along with a telephone keypad and handset. 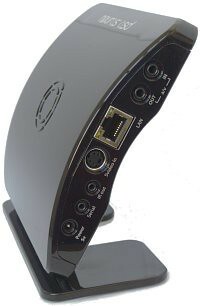 It can be connected to the TV via analog RCA video and stereo audio ports. The M20 is already available with a suggested retail price of $260. Functionality of Neuros OSD – open source DVR, recently was enlarged by YouTube browser. It allows browse and play the entire YouTube video collection on any TV, both standard and high definition. It’s possible to use keyword searching and browse by category and rating. Future releases will bring user interface improvements and added functionality such as sharing, subscriptions, and much more. The new functionality was developed by open source community, which works closely with Neuros internal team, and their contributions are quickly incorporated into the company’s releases. This is another good example of advantage of open source development for all producers who stake on proprietary closed technologies. 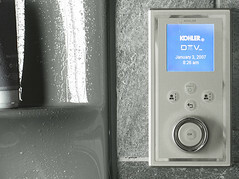 DTV Custom Showering Experience brings hight-tech into bathroom. From a single control panel you can adjust the music, ambient lighting, chromatherapy and even steam making it simple to create a personal sensory experience. The price of the control panel is not so cheap – $1039.50 and up. Also, to be able control audio and lighting you should buy them from the Kohler as well.